The Indian sub-continent perhaps had the largest network of rivers in the world. 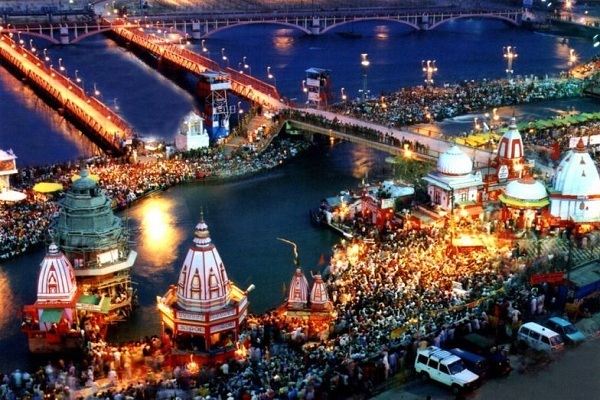 Of all the rivers, Ganga is the most beautiful river. 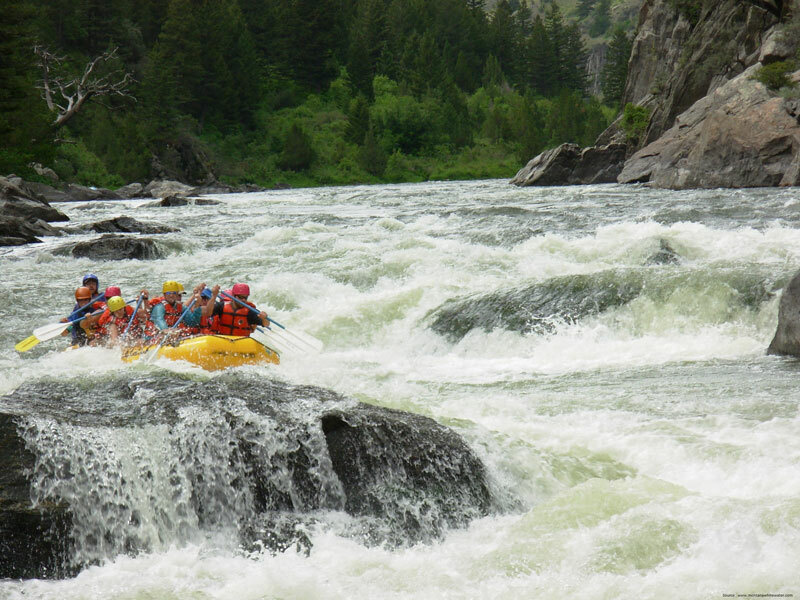 It is the most suitable river for white water rafting. 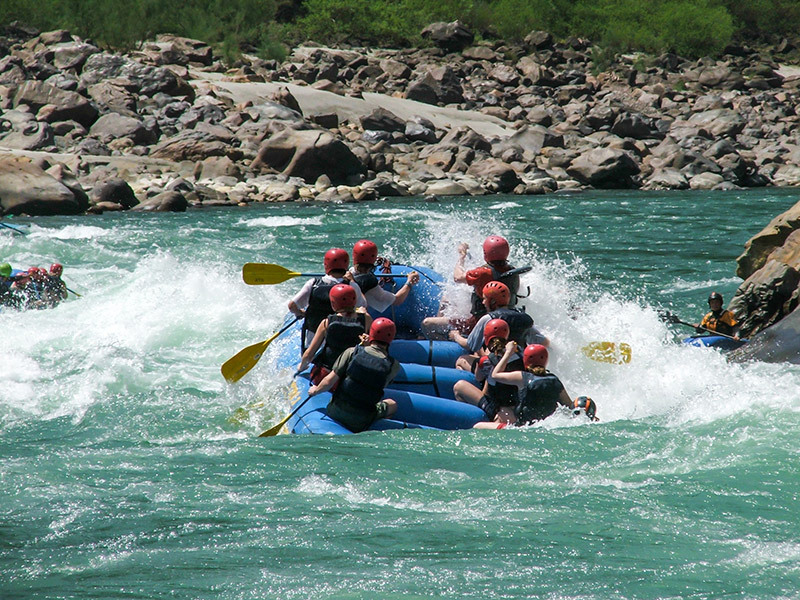 The Himalaya River Rafting Tour is a very short river rafting tour. 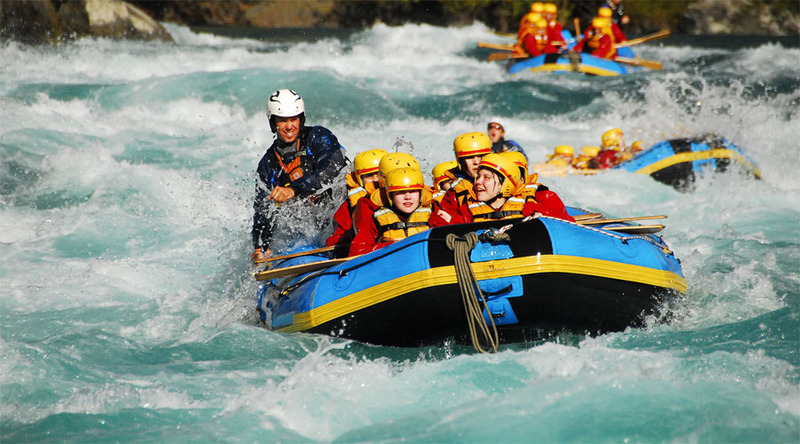 Rafting on its waters will be a certainly an unusual experience for us. 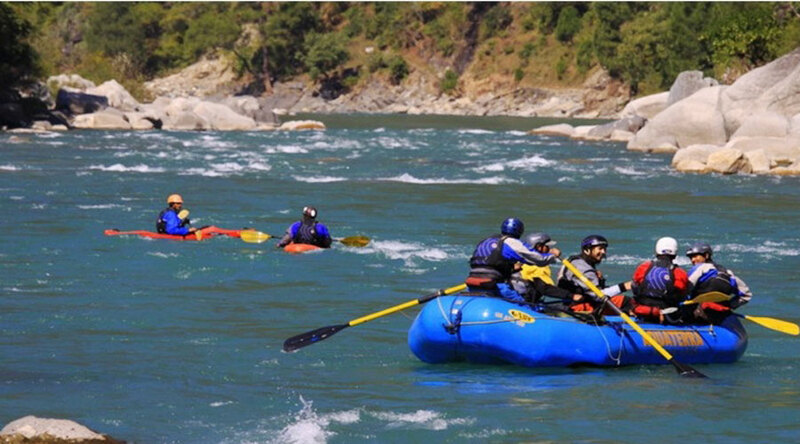 In this tour we will have river rafting in Deoprayag where the two major rivers - Alakananda and Bhagirathi merge to form the holy river Ganges and also in Kaudiyala and Shivpuri. 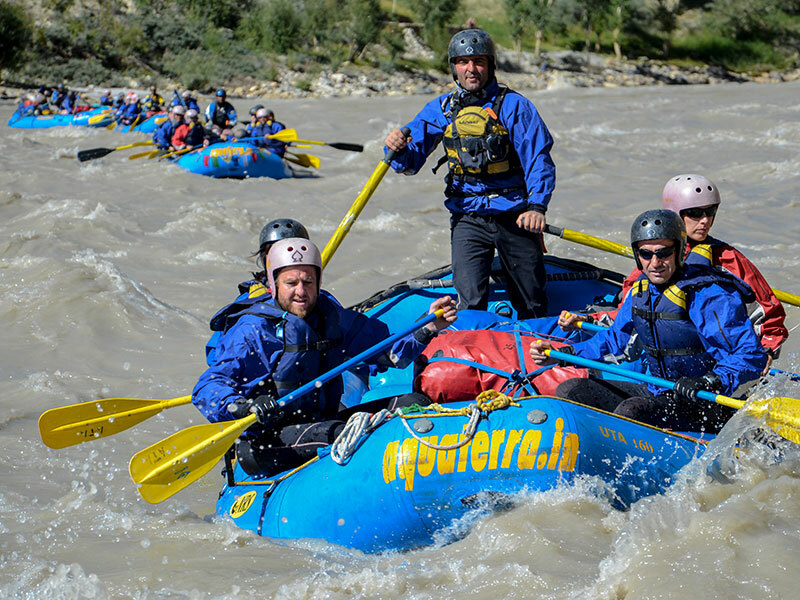 The most popular rafting sites include Ladakh in Jammu & Kashmir, the Garhwal Himalayas in Uttaranchal, the Beas River of Himachal Pradesh and Teesta River in Sikkim. 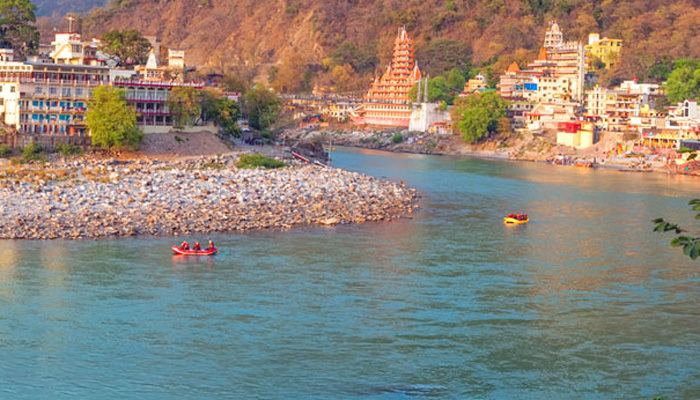 The main rivers is include Ganges, Brahmputra, Teesta, Beas, Zanskar. 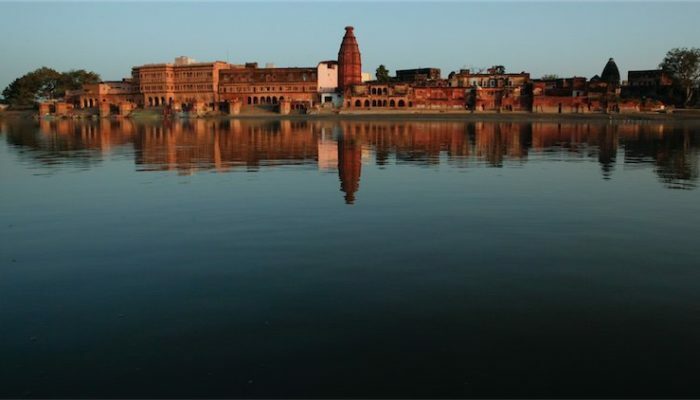 Ganges river is a major river of the Indian subcontinent, associated in myth and reality with the land and people of India as well as neighboring countries like Bangladesh. Sources & Tributaries - The Gangotri Glacier, a vast expanse of ice five miles by fifteen, at the foothills of the Himalayas (14000 ft) in North Uttar Pradesh, is the source of Bhagirathi, which joins with Alaknanda (origins nearby) to form Ganga at the craggy canyon-carved town of Devprayag. The Yamuna, which originates less than a hundred miles east of the Bhagirathi, flows parallel to the Ganga and a little to the south for most of its course before merging with the Ganga at the holy city of Allah bad, also known as Triveni Sangam, literally, Three-way Junction, the third river being the mythical Saraswati which is also supposed to be an underground river. New Delhi, capital of India, and Agra, site of the Taj Mahal, are two of the major cities on the Yamuna. 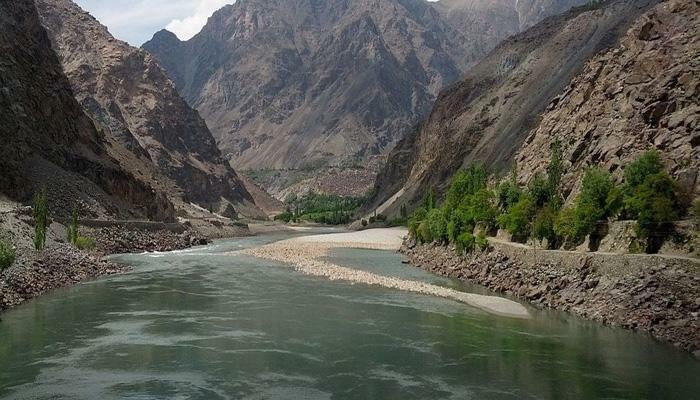 River Sutlej originates from the southern slopes of the holy mountain Kailash, near the lake of Mansarovar. 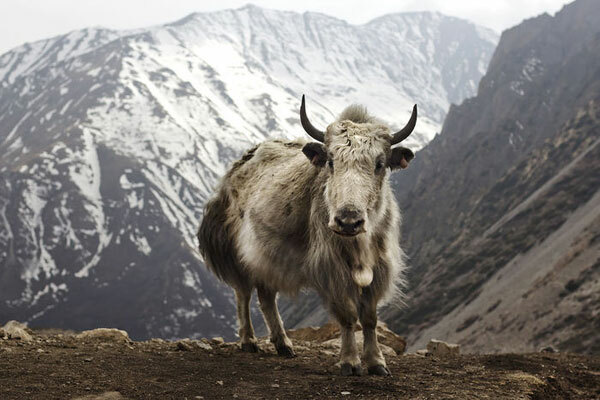 It flows parallel to the Himalayas and finally penetrates to the Shipki pass. 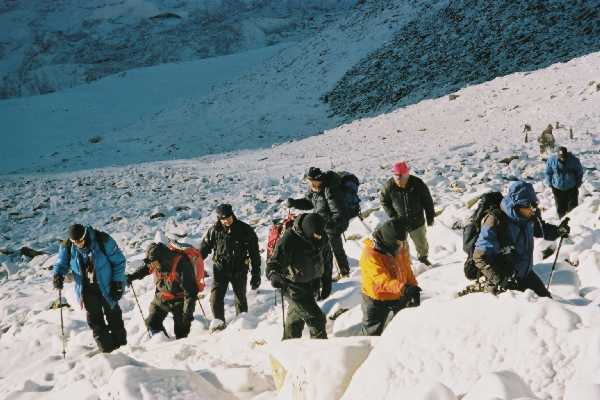 It cuts through the Zanskar range, and makes a deep gorge at the base of the Kinner Kailash massif. 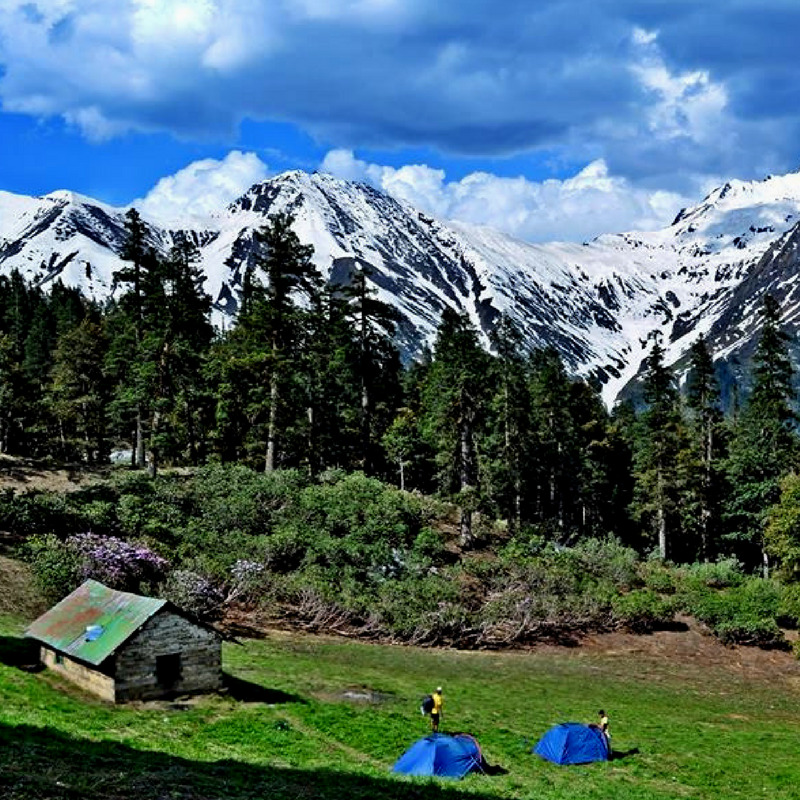 Within Kinnaur district, it runs parallel to the Hindustan-Tibet Road. 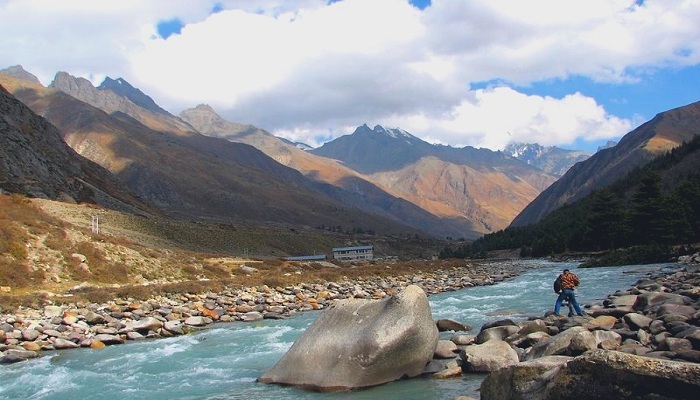 Later at Karcham, in Kinnaur, it is joined by river Baspa that drains the Sangla valley. One of the great rivers of Asia, the Brahmaputra commences its 3,000-km journey to the Bay of Bengal from the slopes of Kailash in western Tibet. 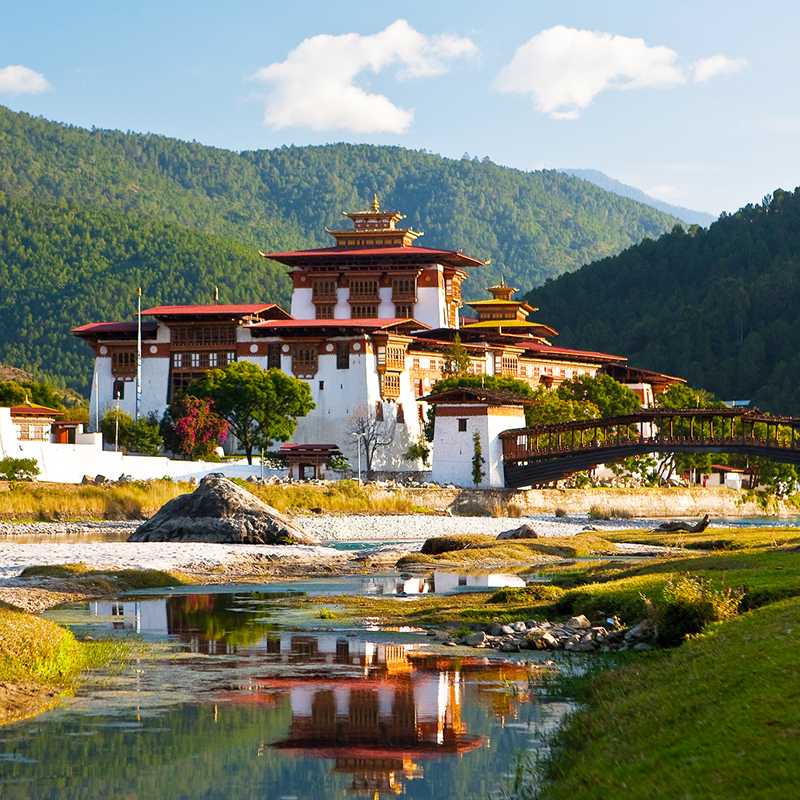 As Tibet's great river, the Tsangpo, transverses east across the high-altitude Tibetan plateau north of the Great Himalayan Range, carving out myriad channels and sandbanks on its way. 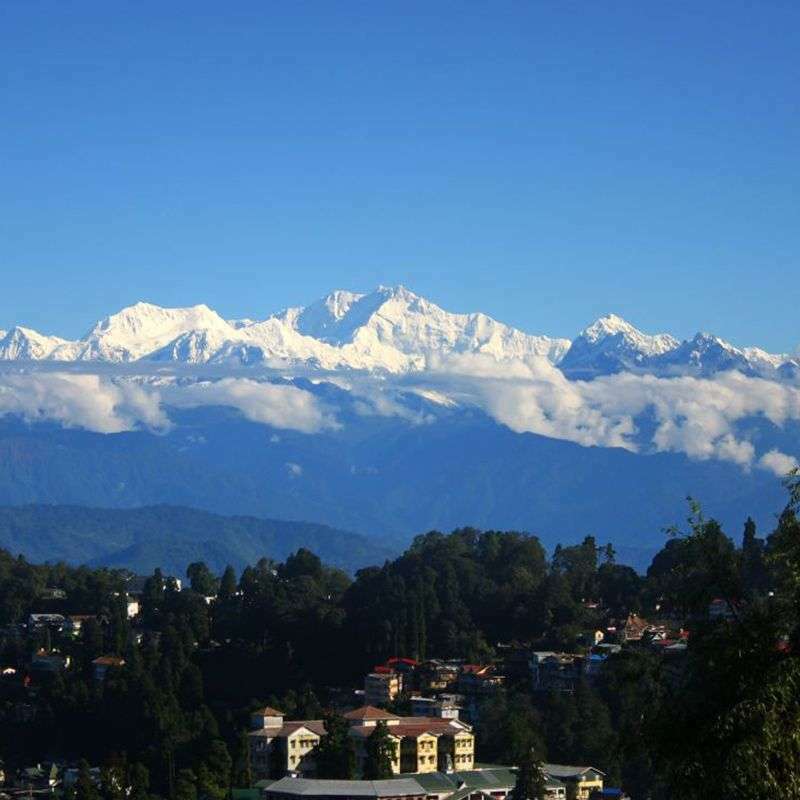 As it tumbles from the Himalayan heights towards the plains of the subcontinent it twists back on itself, cutting a deep and still navigated gorge, until finally turning south it emerges in Arunachal Pradesh as the Dihong. Just beyond Pasighat, it meets the Dibang and Lohit where it finally becomes the Brahmaputra. 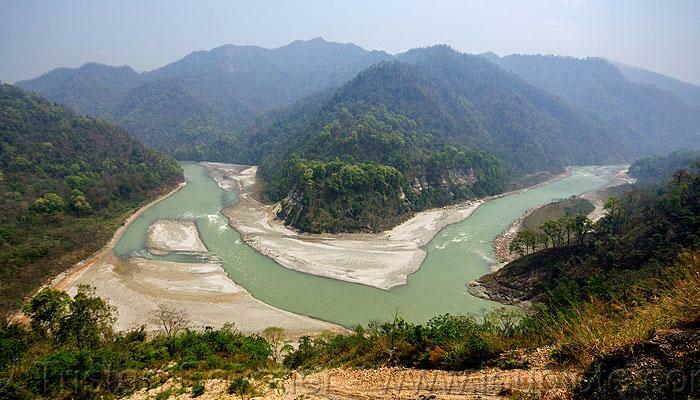 Teesta River is a trans-Himalayan river flowing through Sikkim and is one of the most churning rivers in the Himalayas. It originates from the Cholamu lake and flows south. 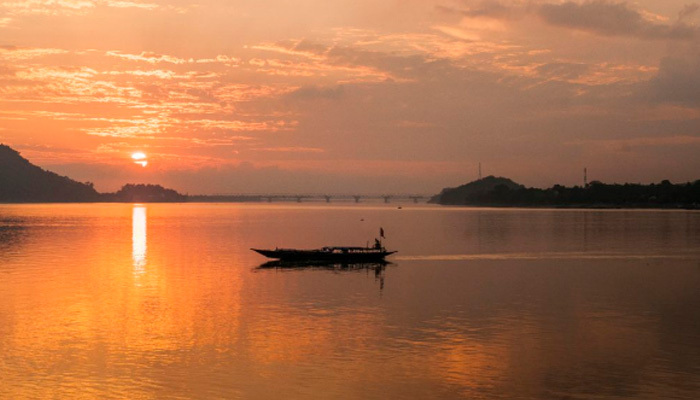 It passes through West Bengal and joins the Brahmaputra River in Bangladesh. The total length of the river is about 315 km. 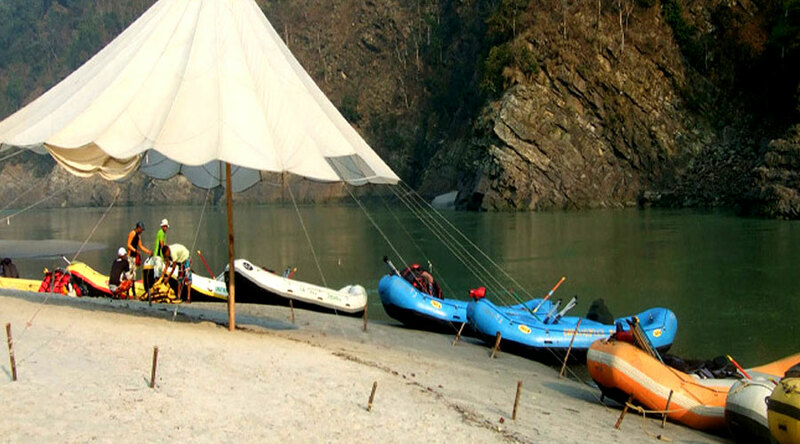 Teesta River is famous for river rafting. 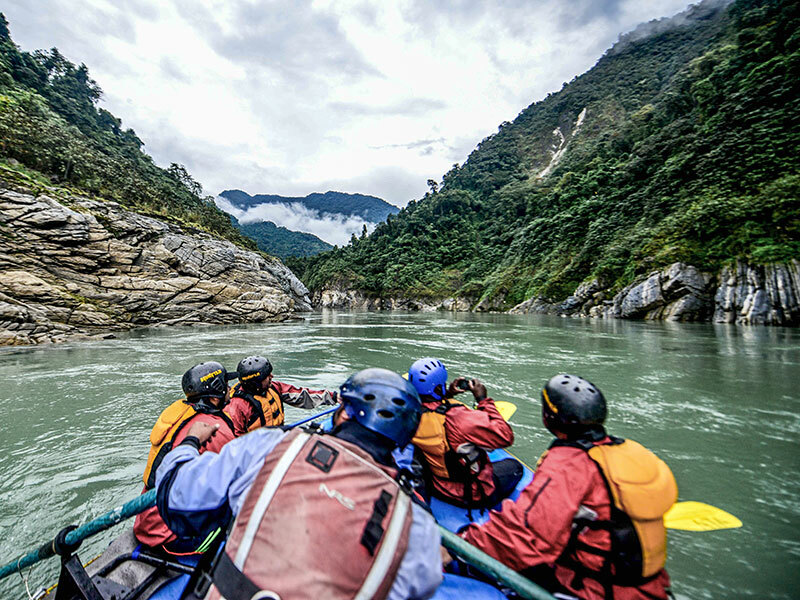 River Teesta of Sikkim extends the most challenging invitation to the rafters in the eastern Himalayan region. 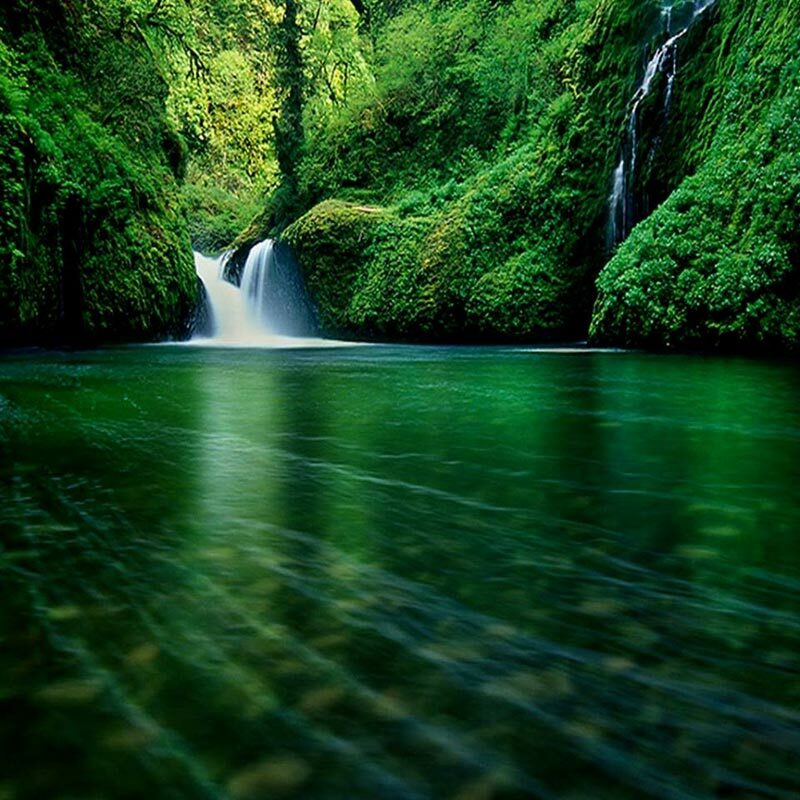 The Beas forms the valleys of Kullu and Kangra, famed for their beauty. But ironically, its source is an insignificant looking igloo like structure near Rohtang Pass in Pir Panjal range to the north of Kullu. The main thrust of this river is southward to Larji and then to the west. Where it enters Mandi district and further still into Kangra. On account of its snow-fed, perennial tributaries, its inflow increases greatly during the monsoons, sometimes resulting in floods. 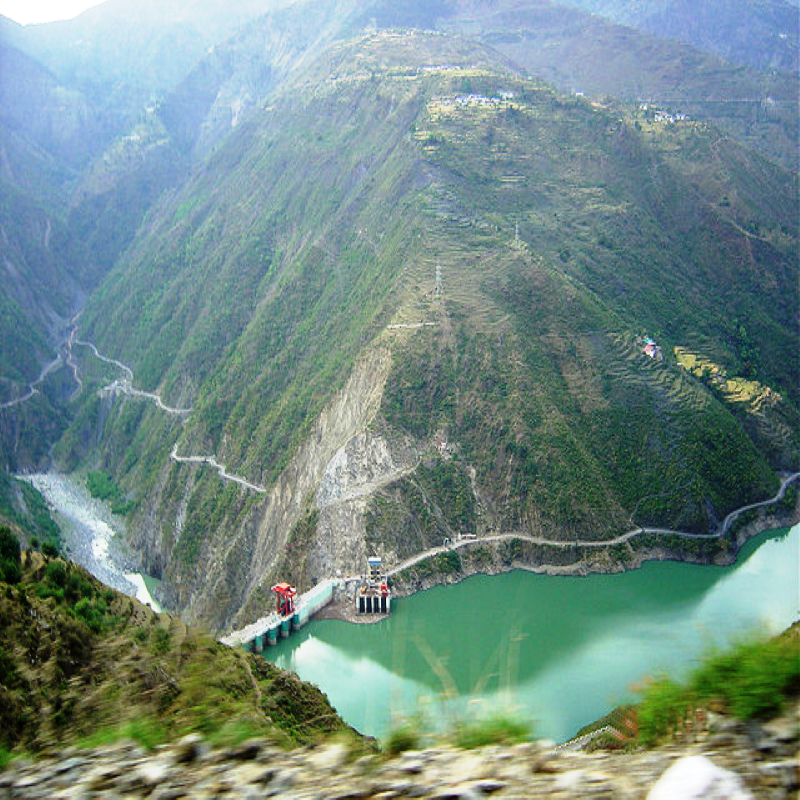 At the Pandoh, in Mandi district, the waters of the Beas have been diverted to the Sutlej through 53-km of tunnel, with the Pong Dam constructed on the Beas, for the purpose of increasing the hydroelectric power supply. 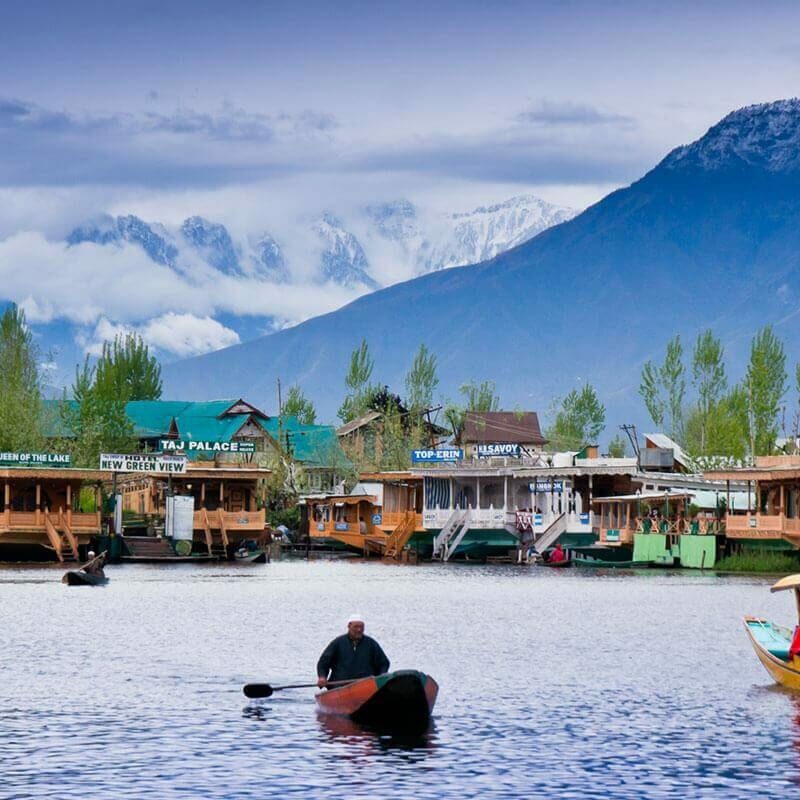 The Ladakh Region of Jammu and Kashmir provides very good opportunity for river rafting. There are exciting possibilities to suit all abilities ! From gentle floating, to white water rafting. All set admits stunning scenery.... Imagine after a day's rafting, sitting by the camp fire on a sandy beach by the banks of the Zanskar or Indus river. Another combination ... a trek/ Jeep tour visiting the local sights and monasteries. 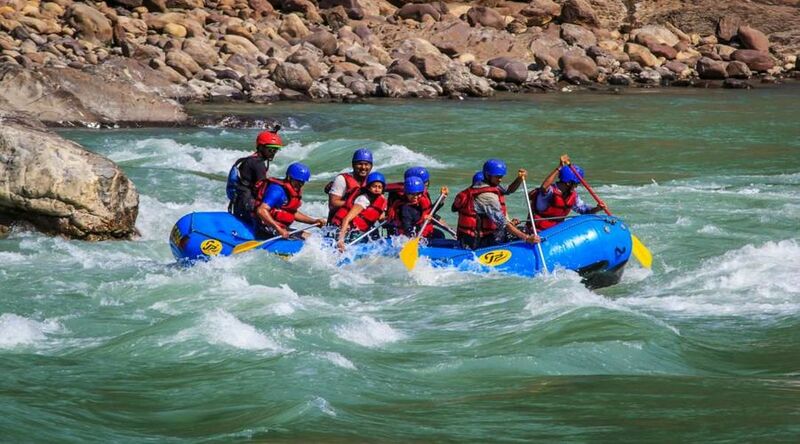 Indus and Zanskar river are famous for river rafting in Ladakh region. 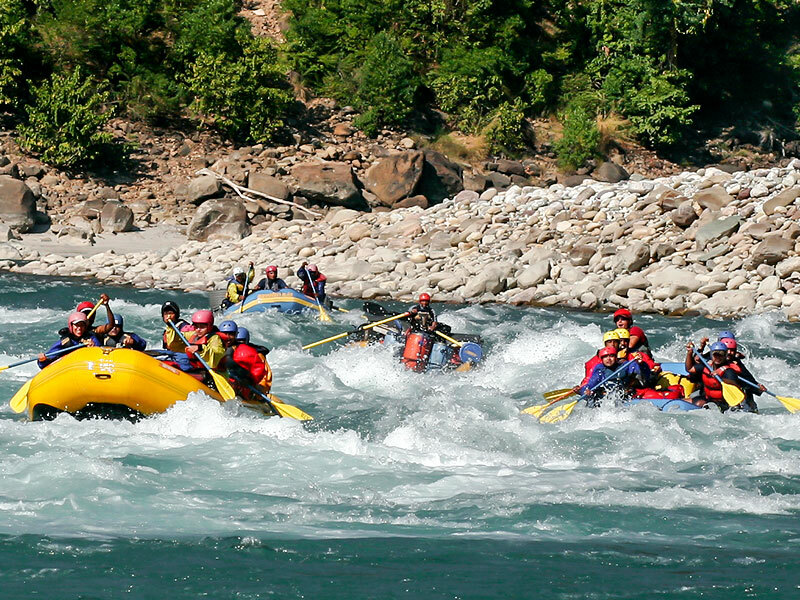 Himachal Pradesh’s snow-fed rivers offer tremendous opportunities for the challenging sport of rafting. 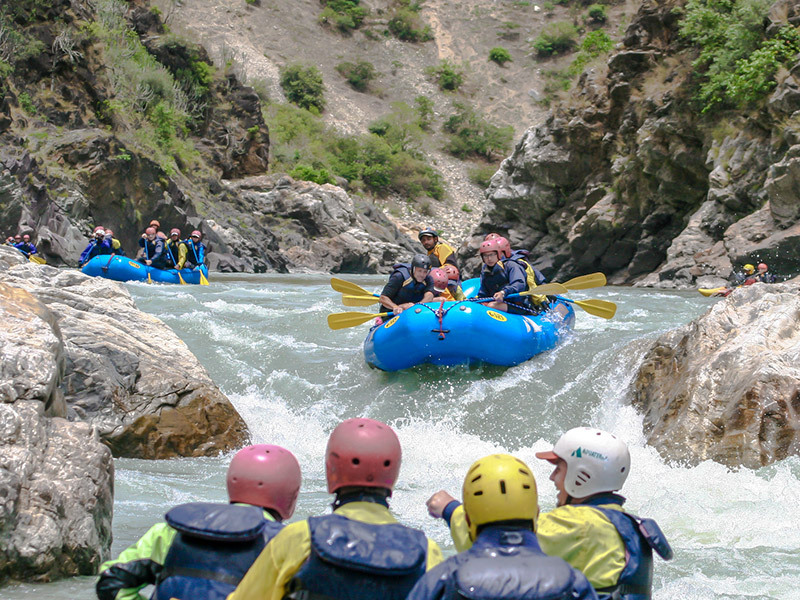 The rivers Chandrabhaga (Chenab) in Lahaul, the Satluj near Shimla, the Ravi near Chamba and the Beas near Kullu offer immense whitewater rafting possibilities. 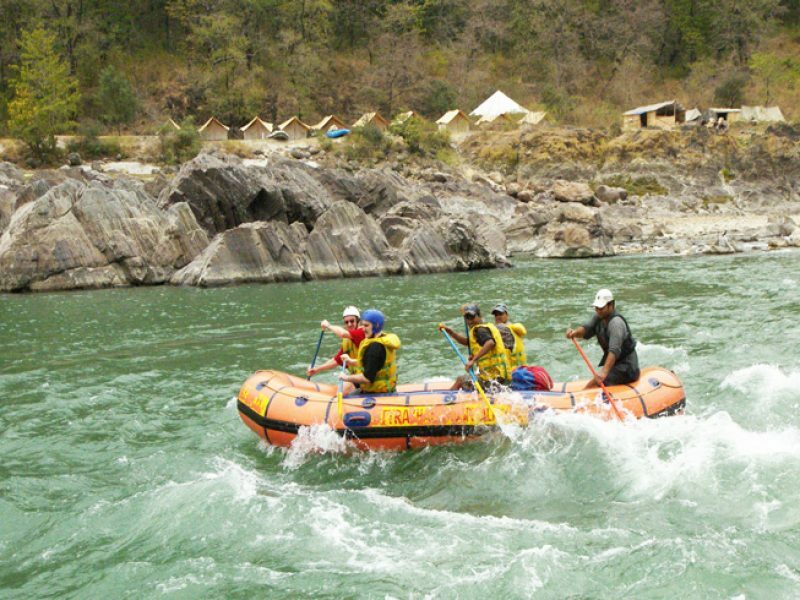 There are tremendous river running expedition opportunities between Shamshi and Auto on the Beas. Our "special" yearly feature which runs a spectacular two weeks covering most of western Ladakh, monasteries, palaces, villages, hikes and travel down three rivers. 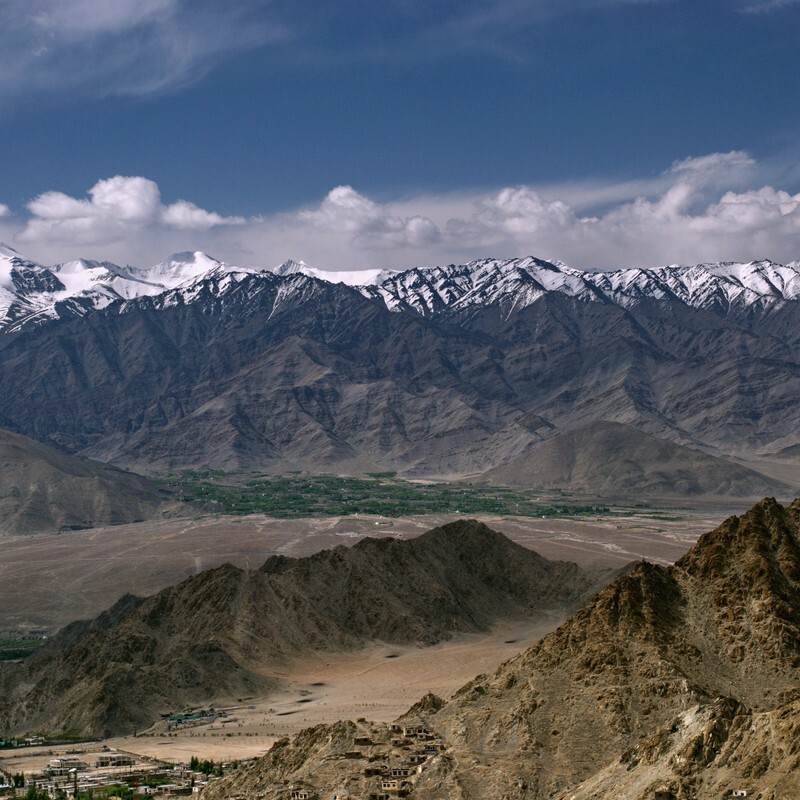 The trip begins with a flight over the Himalayas into the Trans-Himalayan region of Ladakh in the state of Jammu and Kashmir. We spend a few days in Leh town acclimatizing at 11,000 feet above sea level. 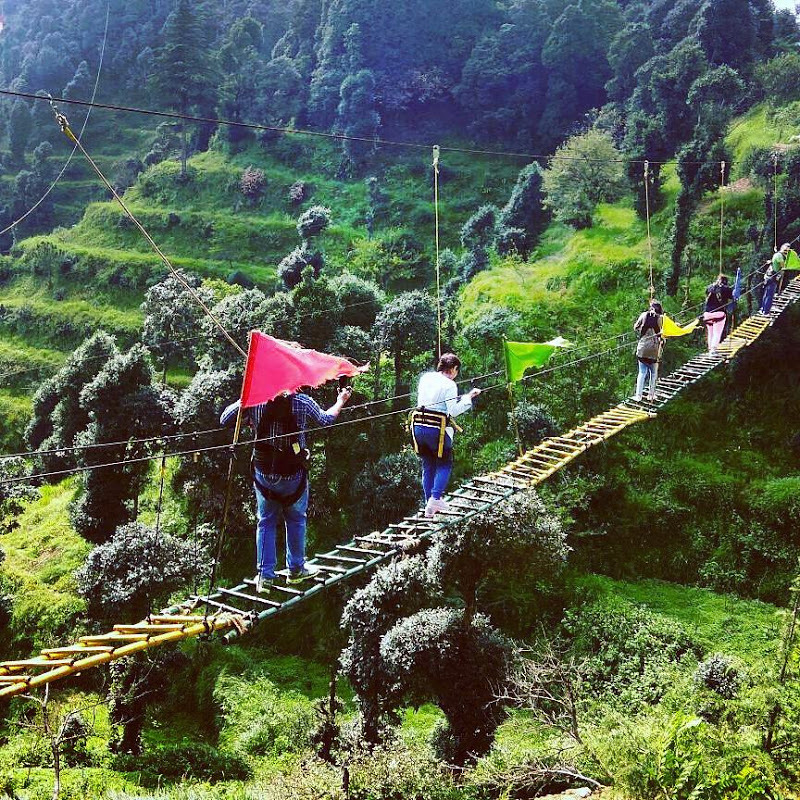 With the intricate network of Mountain Rivers flowing through a myriad of different colors of rocky gorges, forests, flowers and high mountain villages, the Garhwal and Kumaon hills provide ideal locales for the perfect water adventure. 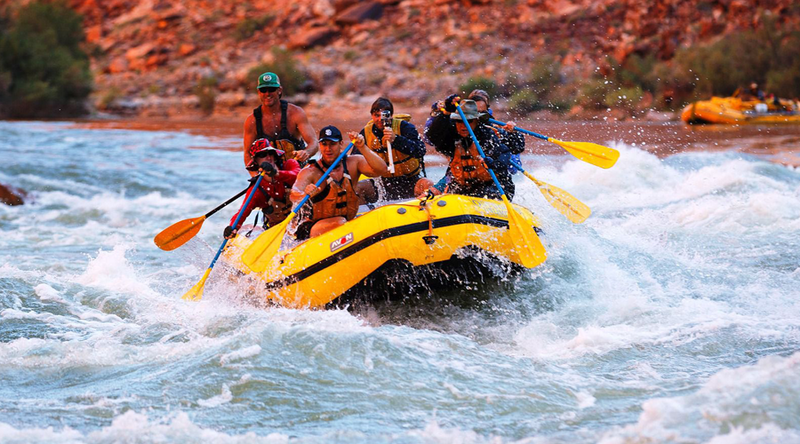 The sport of White Water River rafting calls for a triumph over the swift swirling river as it gushes past spectacular mountains. 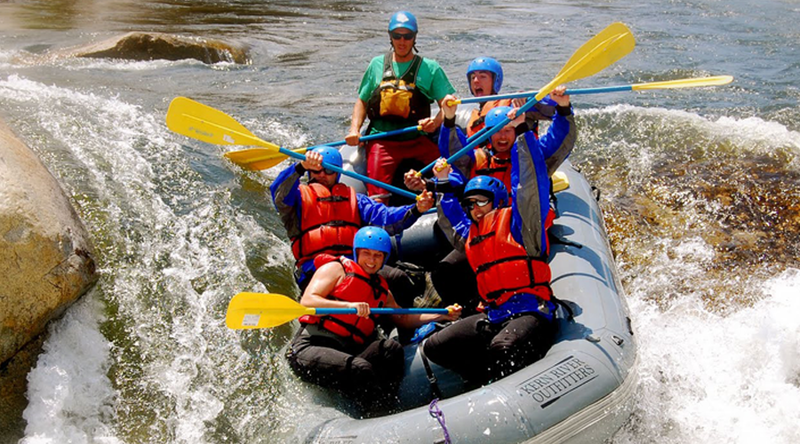 White Water Rafting is an adventurous sport, which is relatively new in Darjeeling Hills, having being introduced in 1991. The spills and chills of this sport is unmatched. To experience the tempestuous mood of a river as it cascades headlong into the rocks and down a slope is an unforgettable moment. White foam produced from water as it gushes across stones and boulders gives the sport its name. 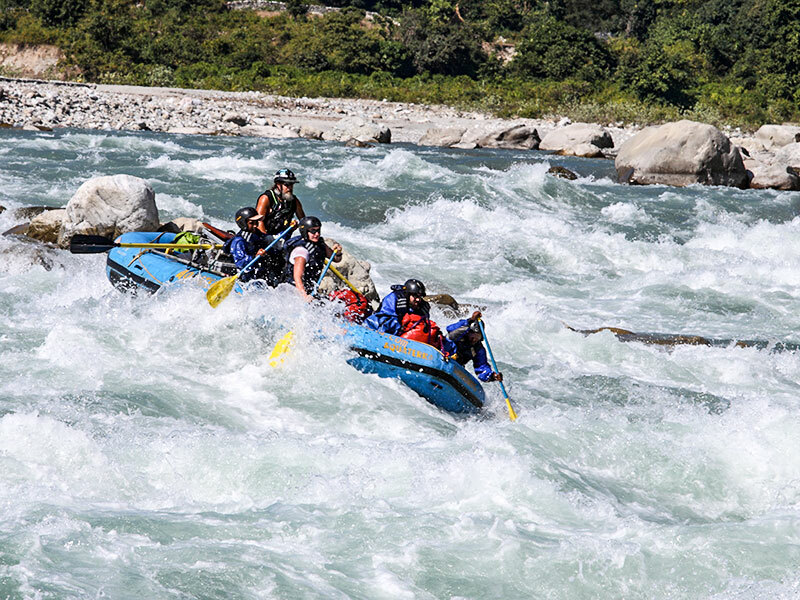 Nepal is a river runner's paradise - no other country has such a choice of multi-day trips, away from roads, in such magnificent mountain surroundings, with warm rivers, a semi tropical climate, impressive geography, exotic cultures, wildlife and friendly welcoming people.